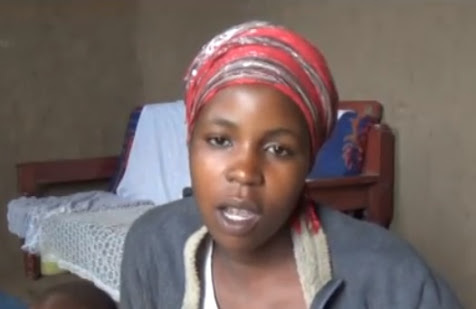 Aisha Namugerwa’s family insists should the DNA prove Walukaga is the father of her child, he will have to marry her. 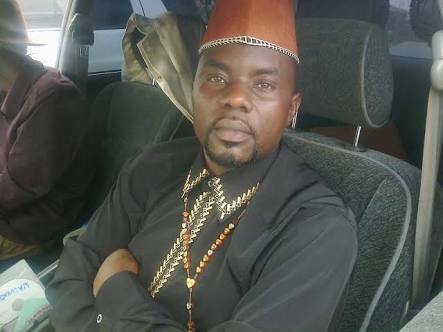 Days after kadongo kamu star Mathias Walukaga accepted to take full responsbility of the child claimed to be his by former lover and housemaid Aisha Namugerwa, her family have insisted a DNA test be carried out to ascertain parternity of the one-year-old boy said to be fathered by Walukaga. The family through Amina’s elder brother Hamis Sonko say Walukaga is just getting cold feet or rather feels guilty since he knows the blunt truth. He said the family isnt looking for support because they have single handedly looked after Amina since she got pregnant, but are rather looking to find the true father to the child in question. Sonko, however insists that if Walukaga is found to be the father, then he ought to take full responsibility of both the child and the mother. Mathias Walukaga wants to name the child even though he insists he is not the father. Walukaga on Thursday gave whoever has the child up to Friday to hand him over. The singer said he wants to have the child in his custody and give him a name even though he continues to deny paternity. The singer told journalists on Thursday that someone tipped him off that he risked going to jail incase results from the DNA showed him as the father. According to Walukaga’s adviser, the singer risked paying over Shs300m in claims including money used to cater for the child the since he was born, time spent, psychological and emotional stress and money used to procure DNA. Failure to pay, would mean imprisonment. So he said he doesn’t have that much money. A bitter Hamis said for long Walukaga has taken their family for granted calling them local, but he says this time they are ready to fight tooth and nail to seek justice. He further says that on several occassions the family has tried to settle these issues privately but Walukaga always turned a deaf ear, so they are not ready to take his disrespect, as he says, any longer. Ssonko says he worked with Walukaga in the same band the time his sister Amina worked as a maid at Walukaga’s home. He claims he was aware of the affair the two had but was shocked when his foremer boss sent his sister back to the village when she was two months pregnant, promising to take care of her after the child had been born. Ssonko wondered how a man can want to name a chlid they have denied fathering and also said that if the DNA results come out stipulating Walukaga as th e biological father to Amina’s son, he should marry her because she is still a young girl.